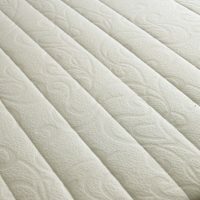 For those who prefer a more responsive mattress, the Majestic Touch offers a combination of Latex and high density foam overlaid with polyester giving a sumptuous surface to the 8″ micro-quilted mattress. Select the options to create your perfect bed package. The latex is a comfort core which offers optimum durability and permeability. It attains exceptional levels of comfort and performance, which is hygienic and breathable and is completely environmentally friendly. Beds are available in the following sizes: 2’3″, 2’6″, 3′, 3’6″, 4′, 4’6″, 5′ or 6′. 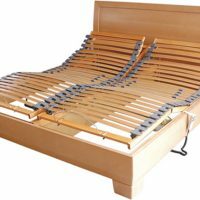 Five-Fold adjustable bed and integrated mattress support system with a max weight of 18 stones on the standard motor supplied. We do a heavy duty motor for an additional price with a weight limit of 22 stones. Equipped with a practical and user-friendly multi-function low voltage deluxe 6 button handset which lifts both the headend & foot-end. It comes with a 5 fold electric mechanism offering a complete choice of comfort settings. It flexes to support the five key areas: knees; hips; back; neck and head. State of the art upholstered 13″ base plus 2″ castors. Our beds meet the required electric and upholstery regulations set by the European and British fire standards. At staggeringly low prices our electric beds come with a wide spectrum of superb mattresses. The 2'6" & 3'0" beds can be linked to become 5'0" & 6'0" respectively. Simply double the cost of the bed. 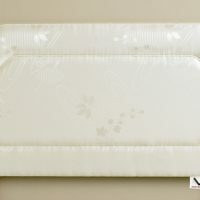 Headboard shown is for illustrated purposes only and can be purchased separately or as part of a package deal when selecting your options on the selection form. 2'3" x 6'6" 2'6" x 6'6" 3'0" x 6'6" 3'6" x 6'6" 4'0" x 6'6" 4'6" x 6'6" 5'0" x 6'6" 6'0" x 6'6"